Product categories of Stone Production Line, we are specialized manufacturers from China, Stone Production Line, Impact Crusher Plant suppliers/factory, wholesale high-quality products of Iron Ore Crushing Plant R & D and manufacturing, we have the perfect after-sales service and technical support. Look forward to your cooperation! Stone Production Line is the most widely used crushing plant in today's mining, quarry, construction, aggregate production to crush materials like granite, basalt, pebble, limestone. 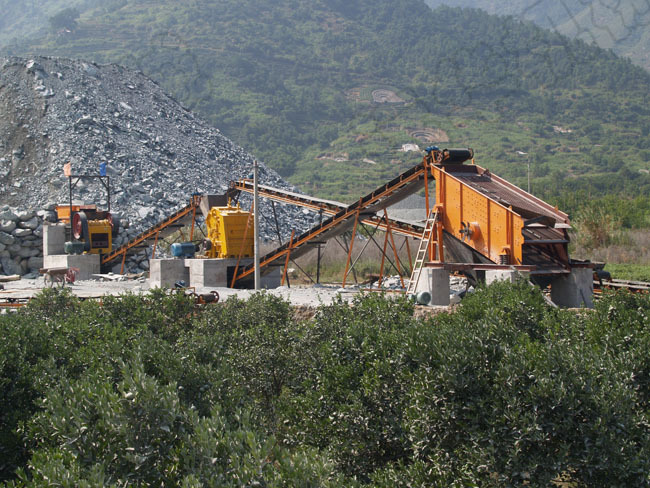 Stone production line capacity ranges from 30 to 500 tons/hour. It is mainly composed by Vibrating Feeder, Jaw Crusher, Impact Crusher or Cone Crusher, pounding machine, Circular Vibrating Screen, Belt Conveyor and electronic control device. 1. Discharged partical size can be adjusted. 3. Saving energy and high yield. 4. Uniform stones production granularity and good grain shape.